Good buys are the vividly-coloured costumes, handmade carpets and locally-produced wines and brandies. The main open-air market (tolchok) is on Calea Mosilor, about 10 minutes' drive away from central Chisinau. Although crowded, it sells everything and is a good place for bargains. There are several craft centres where trades include woodcarving, enamel painting, embroidery, weaving, and the making of musical instruments. Larger shops open Mon-Fri 0800-2000; all others open 0900-1700. Grocery stores are generally open seven days a week. 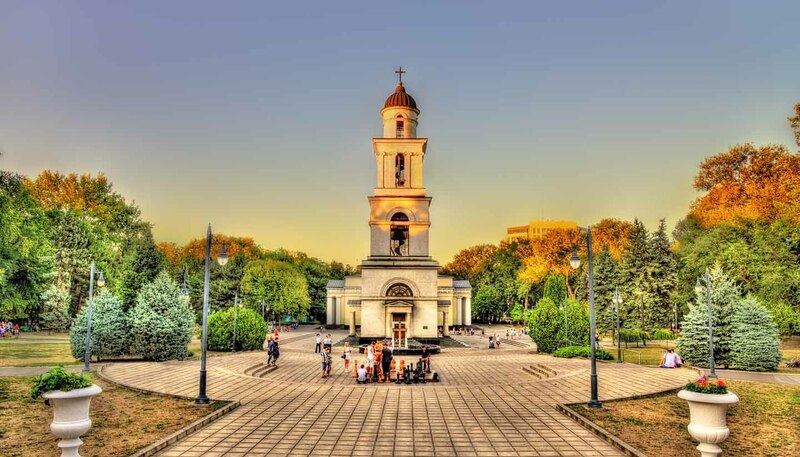 In Chisinau, there is a good selection of theatres and concert halls, and an opera house. The Eminescu Music and Drama Theatre specialises in Romanian productions, as does the Youth Theatre Luceafarul (Poetic Star). All performances in the Chekhov Drama Theatre are exclusively in Russian (the building used to be the Chisinau Choral Synagogue). The Philharmonia Concert Hall houses Moldova's Symphony Orchestra. It is also the base for the folklore Doina Choir, the internationally-renowned Zhok National Dance Ensemble and the Fluerash Orchestra of National Music. Russian and Romanian productions can be seen in the puppet theatre Licurici (Glow-worm). The country is famous for its tradition of folk arts and there are many lively musical groups (Tarafs), which play a variety of rare folk instruments including the tsambal (not unlike a dulcimer), cimpoi (bagpipe), fluier and nai.